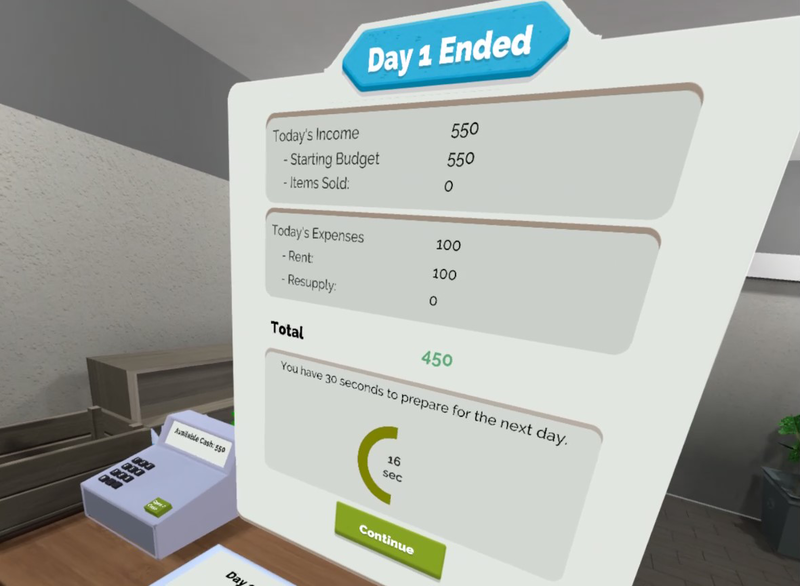 Shopkeeper Simulator VR is the only grocery store simulator for VR in which you have to run a sustainable store business. Buy items, sell them at a profit and unlock helpful equipment to pay the rent. My name ist Michael and I have been working as a freelance software developer in the industry for 15 years. After being blown away by the HTC Vive in 2016, I decided to plunge into VR development and make my first marketable product on my own. I had been waiting for a rising technology to be an active part of and this would be a great chance. At that point, my only experience in writing games was a platformer game for Ludum Dare 40 and some text adventures back in the day on my C64. With a degree in computer science with a special focus on multimedia and my field experience in software engineering, I figured I could work my way into the games industry. 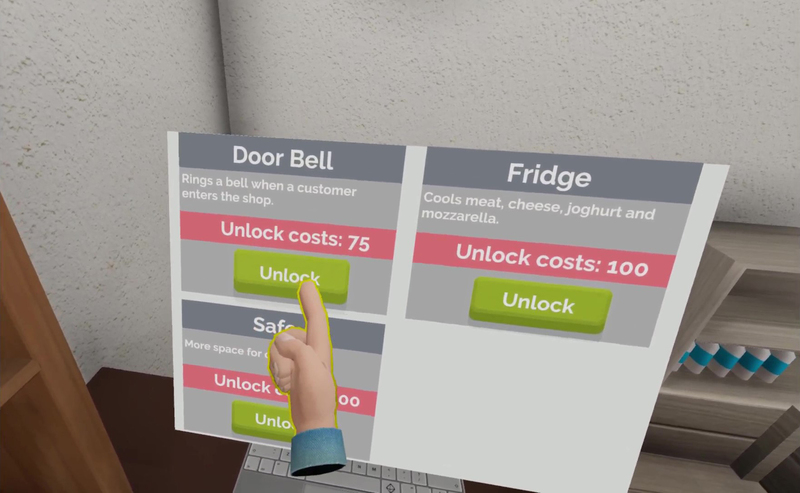 Inspired by the clerk scene in Job Simulator and building some prototypes in Unity, I decided to develop a shopkeeping game with a more serious approach to the economic aspect of the theme. 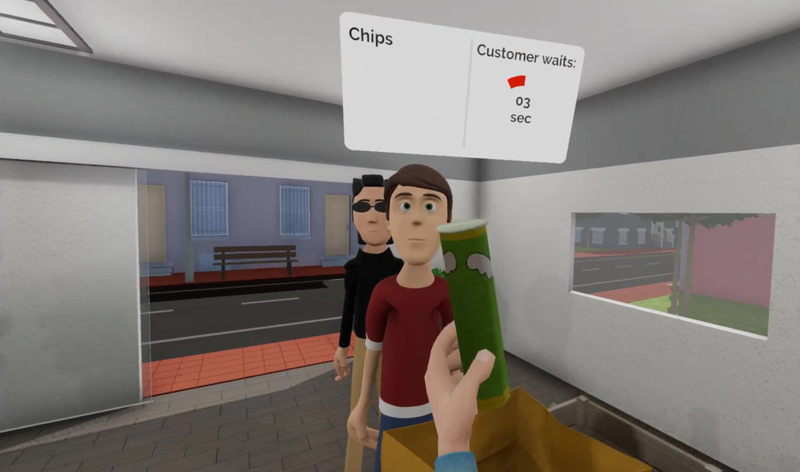 Development on Shopkeeper Simulator vR started late in 2017 and it was released in Early Access in May 2018. On September 19th 2018, the game was fully released on Steam. 15 different grocery types to buy and serve! From Broccoli to Meat to white cheese. Fridge: Store your milk, cheese and joghurt in your fridge to keep them fresh. 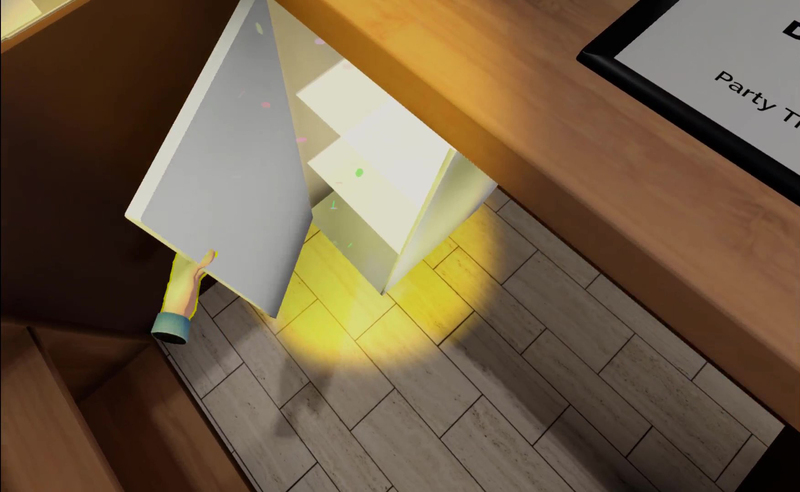 Door bell: Get notified when a customer enters the shop. Money Safe: Better store your money there. 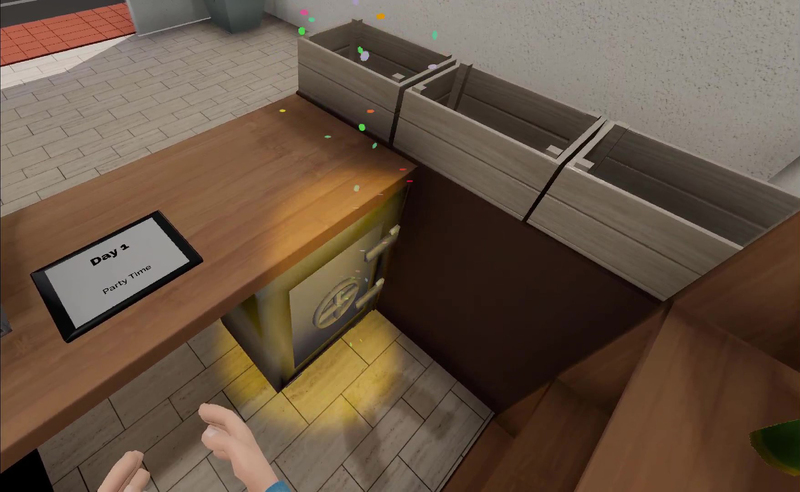 A developer and publisher of realistic sim VR games including Shopkeeper Simulator VR and Puzzle Out VR. More information on Glock VR Software, our logo & relevant media are available here.